Hi Everyone! Happy Jaded Blossom Challenge day! We are doing it a day early this month because of the Star Wars blog hop that starts right here tomorrow at 12 am PST! This months challenge is to create any 3d project. 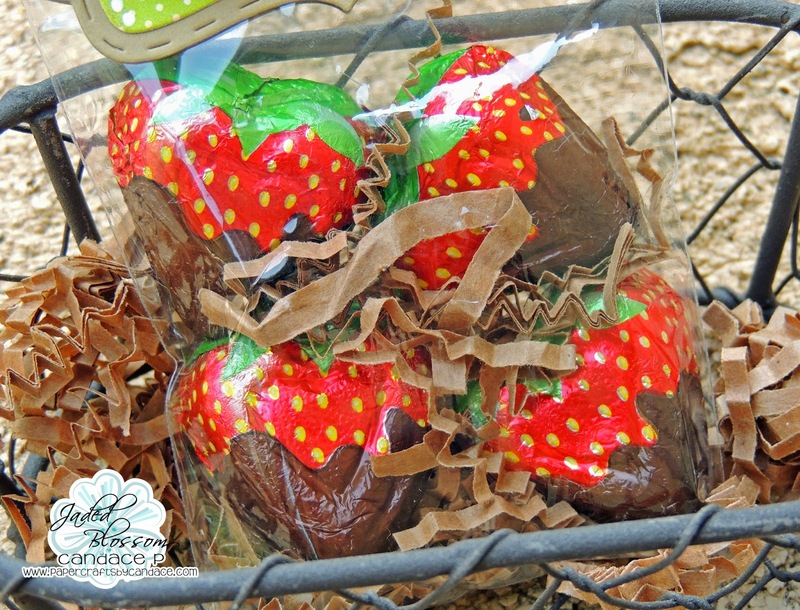 I got these adorable strawberry chocolates that I knew I just had to use for this challenge! 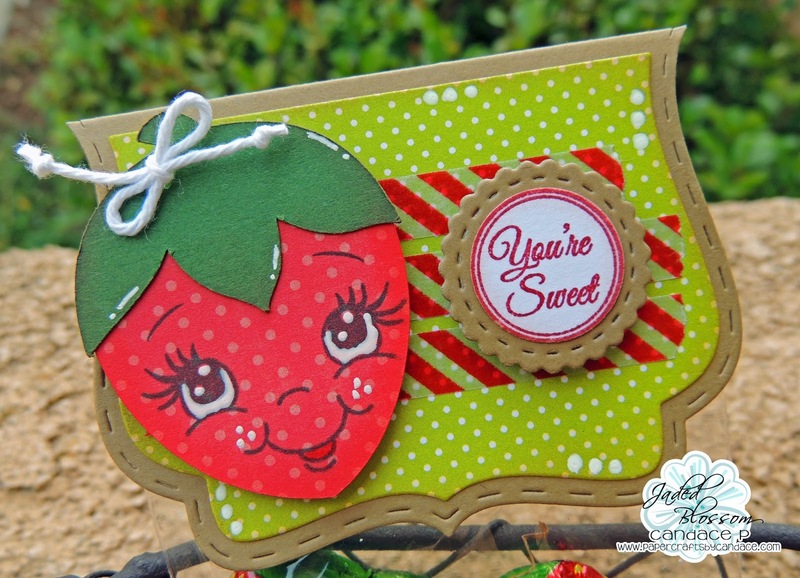 This cute strawberry is from SVG Cutting Files "Kawaii Fruit"
From Jaded Blossom I used the Fancy Topper Die, Candy Charm Die and Simple sayings candies! Heres a close up of the strawberry candies! Super cute right? Thanks so much for checking out my project today! Make sure to head over to Jaded Blossom to see what the rest of the team created!! This is so cute! Love the washi tape! Adorable! 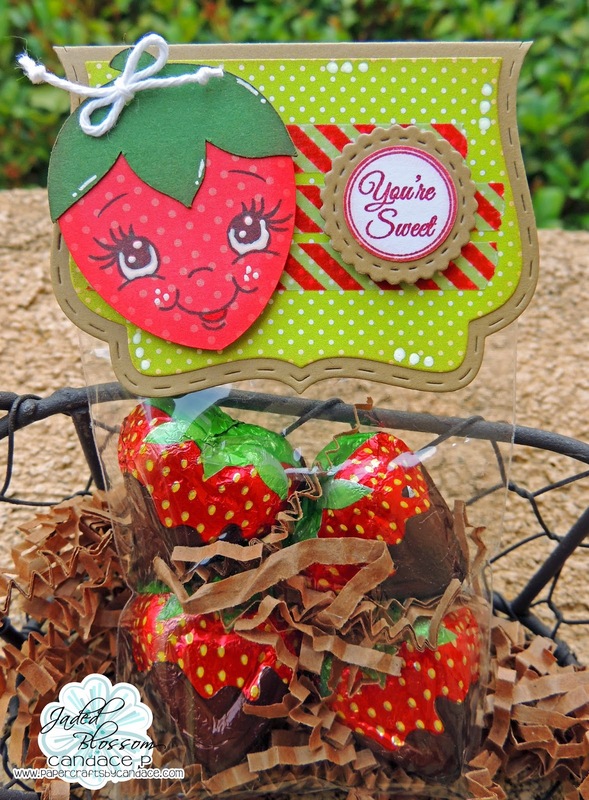 The die cut strawberry is perfect with your treat. This is super sweet!!! I love it so much!! Super Cute, love how this turned out. Super cute! Love the candy!